I’ll be the first to admit I’m not brave. I’m scared of choking while alone in my apartment, I once had a massive panic attack brought on by thinking about ringworm, and I live in fear of the day my boss realizes my job is not difficult and sends me home forever. This is a cold, unfriendly planet, fraught with incidents of asphyxiation, fungal infections, and job termination. I often want to escape for a while, maybe by popping in a movie. I do not want that movie to be scary. For the record, I’m not a baby. I’ve seen things that would curl your hair– fire and brimstone coming down from the skies! Rivers and seas boiling! The dead rising from the grave! Human sacrifice, dogs and cats living together, mass hysteria! Things were pretty grim, but then four guys in coveralls climbed onto the roof of a skyscraper, challenged a god with an ’80s haircut, toasted a giant marshmallow man, and solved the whole problem. I ain’t afraid of no ghosts. Ghostbusters counts as a horror movie, right? I Don’t Like Horror Movies, OK? – I don’t have a great imagination, except when it comes to scary things. After a scary movie, I spend days imagining horrible things everywhere. I watched Jaws when I was six and I still don’t like taking a bath very much. 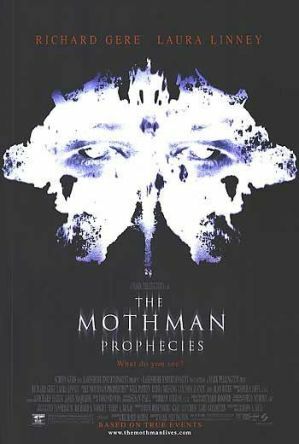 – I don’t really like romantic comedies either, but I’ll watch two hours of Hugh Grant stuttering before I’ll voluntarily shake for two hours during The Mothman Prophecies. How did he know it was Chapstick?! – Joking during a scary movie is obviously a defense mechanism. I can’t make jokes because then everyone would know I’m scared, but I can’t not make jokes because I’m scared. -If I understand the villain, I can handle it. For example, in Predator, an honorable, killing machine with amazing technology is defeated by a mud-covered Arnold Schwarzenegger (FUN FACT: This is the same way Schwarzenegger became governor of California). I get the predator. He’s just a guy going on a hunting trip, using the latest gear and refraining from shooting anything helpless. I feel like we could hang out. On the other hand, Alien makes me want to die because I don’t understand why they’re doing what they’re doing and how they keep getting in the walls to kill everyone but Sigourney Weaver. Also, this article will turn you off Alien for life. – Horror movie characters are so dumb. Why would you go to Antarctica in the first place? Why would you take in a dog people are actively trying to kill? Why would you bring a mysterious melted corpse back to your isolated camp? I keep yelling at the characters. …This is a good time to mention that my boyfrond, Josh, convinced me to watch The Thing last week. (I know “boyfrond” sounds like a houseplant wearing a baseball cap, but I have to call him that for my own sanity. Until recently, the only thing scarier than a horror movie was commitment. Baby steps.) The Boston Globe called it the scariest movie of all time. They’ve clearly never seen the fourth Indiana Jones, but The Thing is up there. – I’ve had a hard time being around organisms post-Thing. A cat followed me home today, so I let him in for a while. Then I convinced myself he was the Thing and threw him out. I don’t feel bad about it. 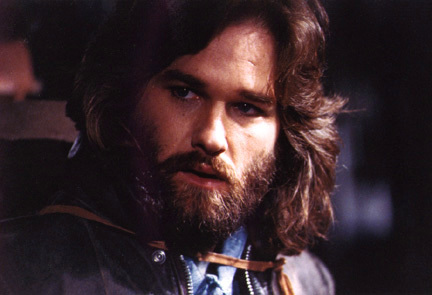 – *SPOILER*: Kurt Russell has flame-thrown the alien and resigned himself to an arctic death beside his surviving teammate. The movie ends and it’s all ok… until you start thinking about it. Childs is totally the Thing, isn’t he? You can tell by the soundtrack, and by repeatedly watching all of this guy’s videos analyzing the ending. Now I want to read the story the movie’s based on, but I live alone and my heater makes scary noises so I can’t. – What’s going on with Kurt’s sombrero? Josh found it online. You can have one of your own for $1,500. Yeah, there’s another Thing. It almost killed me. – The prequel, also called The Thing, features a shot from the first film on the cover, and a lot of scenes which are similar to those in the 1982 movie. That’s because the 2011 Thing is actually an alien film, bent on closely replicating the original in an effort to lure its audience in. – One character looks like my ex-boyfriend, a large, bearded Norwegian. He totally makes it out alive. Just kidding! My ex looks like the skinny American character WHOSE FACE IS MELTED BY THE ALIEN. Talk about closure. – We were watching the movie late at night, and things were beginning to get pretty tense in Antarctica when someone started pounding on my door. I had a heart attack while Josh looked frantically around for a weapon. We opened the door to a lady trying to sell me cable packages, undeterred by my lack of a TV. If you’re out there, lady, I’m sorry I looked at you like you were a human-imitating alien who was about to whip out some tentacles and digest us, but that’s exactly what I thought you were. 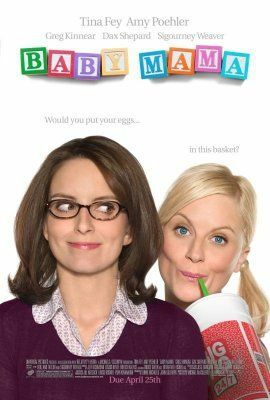 We calmed down afterwards by watching Baby Mama, which is a light-hearted romp featuring Sigourney Weaver about a parasitic being erupting from a screaming human in an explosion of blood. I can’t watch scary movies either, my mind becomes overactive and get too scared. I watched signs and then saw shadows walking past my window for the next two nights. I loved this post, listful … it gave me an early morning chuckle, and let’s face it we all need one of those. I’m with you on horror films. I cannot watch anything scarier than one day cricket, although have you seen the beards on those Indians? Anything could be living in there! Never, ever, ever see The Ring or The Changling (with George C. Scott, not A. Jolie). Or The Shining. In fact, you should probably just avoid all -ing suffixed films and be on the safe side. HA! I DO NOT watch horror movies OR end-of-the-world movies. A forced watching if “Firestarter” when I was 5 was traumatic enough, thank you very much. I was wounded for life. er… all right… I have all of your fears… described in the first 7 lines. thanks for writing funny piece of texts! Hmm… I do share a fear of beings erupting from me in an explosion of blood, but as a male this would only apply if my kidney stones suddenly became sentient. I want to watch all the ‘Saw’ movies but live in rural Aus where all our cute fluffy animals want you to die so… maybe not. One film I watched haunted me for months…what made it worse was that it freaked my boyfriend out too so neither of us felt safe when darkness came. I have learnt to avoid watching them full stop, its just not worth it, my imagination runs wild and i freak myself out and -having a toddler with a head capable of casting some questionable shadows when he sneaks in at night…well its just safer not to. Reblogged this on Chasing The Lights.